The dahlias ‘Break Out’ is a labor of love for me. 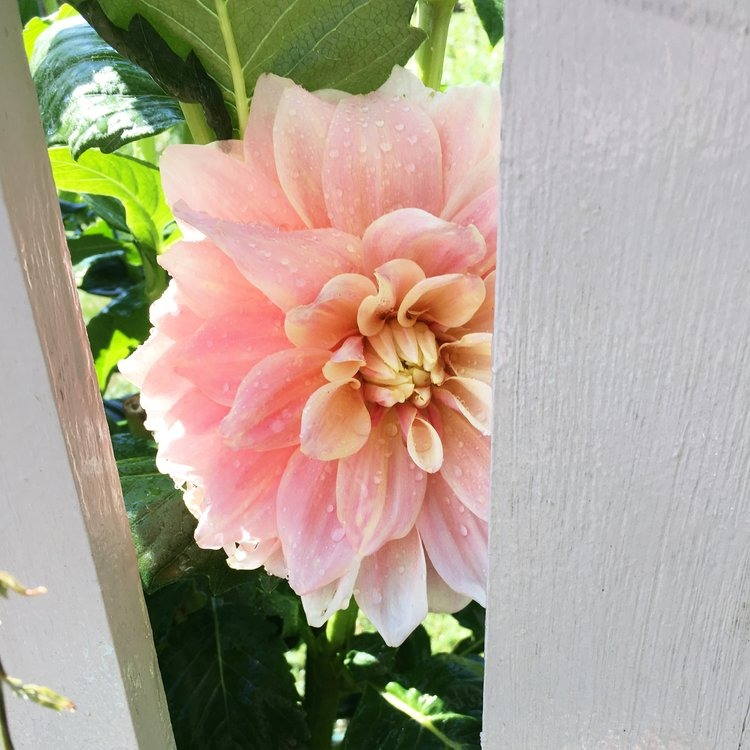 After a disastrous year three summers ago growing the famed Café au Lait dahlia (never again), I looked for a dahlia that had a similar look and another gardener recommended ‘Break Out’. Last year I ordered it and when is started growing I quickly realized it was not Breakout but rather another stunner—Kogana Fubuki (which interestingly, I was also growing and was a crop failure for me, so in a way, I was rewarded). This year I purchased tubers from a smaller tuber grower and I could not be happier. It is a stunning dahlia and was everything I expected. It is a bit more colorful than a Café au Lait but still retains that gentle quality. The flowers are colored in a soft pinkish watermelon color with buttercream. And it a perfect for cutting flowers because it has long, strong stems. And if you want a workhorse in the production department—this is a great bet. Very prolific. I love all my dahlias this year, but this one has definitely been the star of them all. Roses are a completely new plant for me. I am not going to lie--- they scared me to death. So, of course, in true Angie fashion, my first foray into growing roses was by ordering bare root roses (which scared me to death) from the most expensive roses I came across—David Austin. Lol. I know… I am crazy! But I chose them for two reasons: I LOVE, LOVE, LOVE the look of English roses and David Austin has a 5-Year warranty on them. I ordered three of them: Scepter’d Isle, Alnwick, and Claire Austin. Two of them bloomed beautifully but the Claire Austin never came out of dormancy so they are replacing for free the next growing season. Now, the two that bloomed are gorgeous! And of the two, I am head over heels with the ‘Alnwick’ rose. This rose is sooooo beautiful. It has cupped blooms that are many-petalled. The color can range from pink to a pinkish coral almost. And the fragrance is beautiful. Almost berry-like. It is very reliable with a long flowering season. So much that I thought my roses had started going into dormancy but the Alnwick is getting a second wind. ‘Alnwick’ is the pinkish coral one. Look at those cupped blooms! And there you have it! The stars of my summer garden! Did you have any standouts in your summer garden?